Since taking over the family vineyards in 1985, Denis Durantou has built a reputation as one of Bordeaux’s greatest winemakers. His flagship property, Eglise Clinet, has become one of the appellation’s benchmark estates, regularly compared to greats such as Petrus, Le Pin and Lafleur. Durantou is known as the “genius of Pomerol”, both for the tremendous quality of his wines as well as for his extraordinary precision in both the vineyard and the cellar. Saintayme (a nickname for Saint Emilion) is one of his two other properties and is located in St-Etienne-de-Lisse. It is produced with the same extraordinarily fastidious attention to detail as Eglise Clinet and provides a gorgeous, age-worthy wine in an accessibly-priced offering. 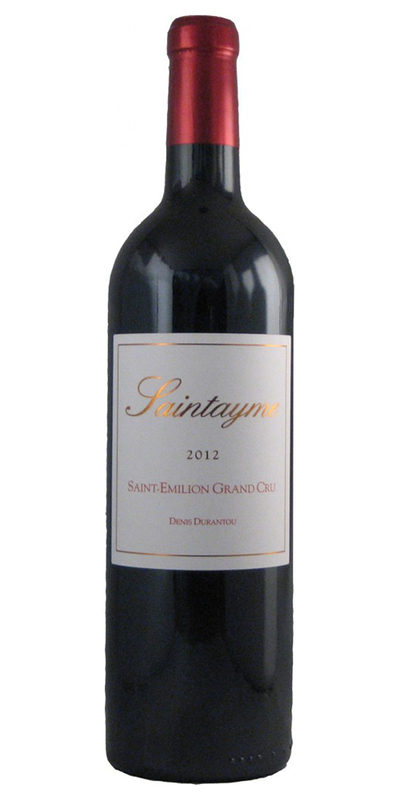 Not surprisingly, Saintayme is routinely considered one of the greatest bargains in Bordeaux.